LA Photo: Serene Super Yacht In L.A. The Serene an impressive, $300 million dollar, 7 level, 440 foot long super-yacht has been docked all over the Los Angeles coast line this week. 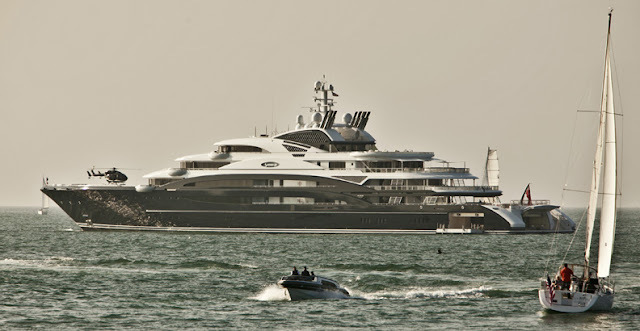 The Serene is the 9th largest super-yacht in the world and is owned by Russian vodka (Stoli) tycoon, Yuri Scheffler. There is also a rumored post Oscar party to be held on her later this evening. Yes, that is a Eurocopter on her bow.